Literally, a Family Tree - what a hoot! 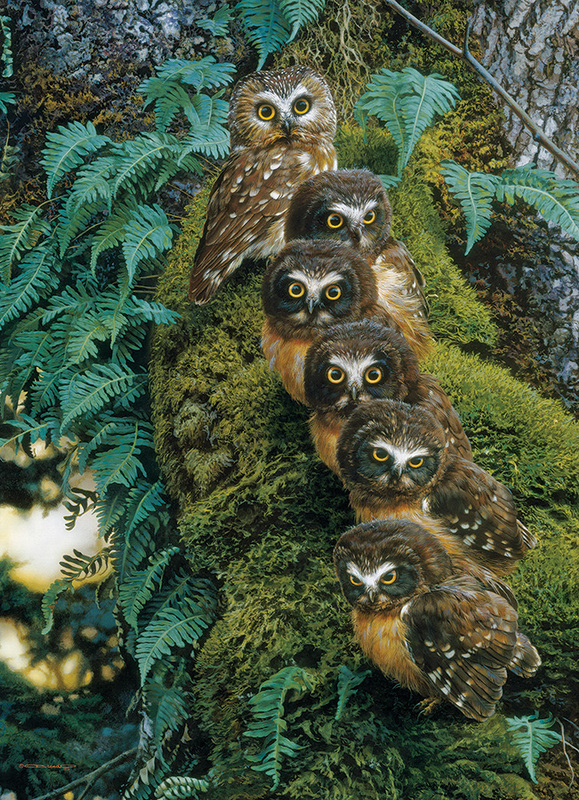 Six big eyed owls on a mossy tree. A 1000 piece wildlife puzzle by artist Carl Brenders. Item # 80018 Weight 1.61 lbs.